Overview: The 2% slide in the S&P 500 to new lows for the year yesterday hit Asian and European equities today. Bond yields are lower, and the dollar is softer against most major currencies. The dramatic equity losses and some disappointing data sparked doubts about the ability of the Fed to raise rates tomorrow at the conclusion of its last meeting of the year. India shares continue to buck the trend and advanced for the sixth sessions. The Nikkei lost 1.8% but held above the key 21000. European bourses are lower, and the Dow Jones Stoxx 600 is off for the fourth consecutive session and is back near year's lows set last week. Fixed income draws savings. Core benchmark 10-year yields are off two-three basis points, while peripheral yields are down a little less. The 10-year German Bund was yielding almost 60 bp in early October. Today it is near 23 bp. The low for the year was set in May near 18 bp. It finished last year a little more than 40 bp. Oil prices continue to plunge. January WTI is off more than a dollar a barrel for the third consecutive session. It broke below $50 a barrel yesterday and today, briefly traded below $48. There had been a big build-up for Chinese President Xi's speech today to celebrate the 40th anniversary of the reforms that led the modernization of China's economy. Investors were disappointed. There were no concrete proposals of stimulus or reform. Many in the West see a contradiction between the modernizing economy and rigid political structure. Indeed, despite ongoing economic changes, many see Xi as reluctant to build on past reform momentum. 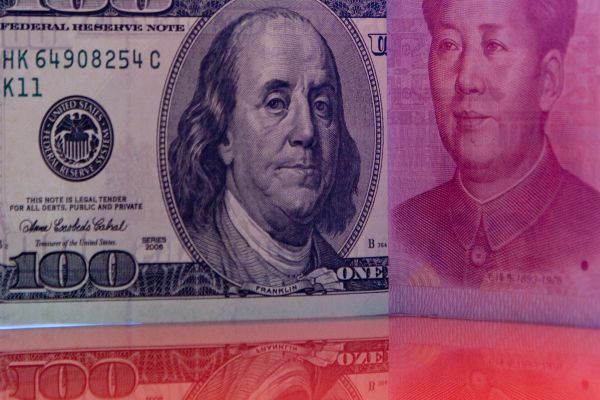 The US Treasury data suggests the two largest foreign holders of US Treasuries, China and Japan reduced their stakes by about $10 bln each to $1.14 trillion and $1.02 trillion respectively. Both have reduced their investment in Treasuries for the third consecutive month and the seventh time in the first ten months of 2018. We would downplay the significance. First, their sales are minor and have not prevented the rally in Treasury prices. Second, the TIC data is not precise, and decline is little more than a rounding error. Third, to the extent there have been real sales, it appears to be driven by economic considerations, not politics. Fourth, the US is often ambivalent about foreign holdings of Treasuries. On the one hand, given the current account and budget deficit, foreign savings is needed. On the other hand, in recent years, US officials have urged foreign officials not to intervene in the foreign exchange market, which is a significant way dollars are acquired that are reinvested in US Treasuries. Buy US goods, they would say, rather than paper, and allow the foreign exchange market to make the adjustment.